Did you know that your number one enemy in life is fear? Fear is the killer of all your hopes and dreams. Fear takes away all opportunities for success. Fear steals your happiness and anything else that is important to you. Fear destroys your life! WTF? And, although the number one admonition in the Bible is to “fear not,” fear continues to work its hardship on all of us everyday. Why? Why and how does fear access our minds so easily? Fear gains easy entrée because we don’t see it for what it really is – False Evidence Appearing Real! Fear and its companions are much more subtle than you may have imagined. In fact, most folks would tell you that they aren’t afraid. But, when they speak of fear, they’re usually referring to its obvious side. The kind they feel when a snarling Pit Bull is running in their direction or what they experience while teetering on the edge of a cliff. Yet fear is involved in many other facets of life. The stress you feel at work is fear. The overwhelm you experience because you have a lot to do is fear. Worrying about not having enough money is fear. Choosing to do things you know you shouldn’t do is fear. Every addiction, everything that holds you captive is fear. Agitation, restlessness and boredom is fear. Chronic indigestion, irritable bowel syndrome…fear. The massive industry of pharmaceuticals comes from fear. Health issues, mental issues, exhaustion, all fear. Fear, fear, fear rules the world. The peace of mind you so desperately seek is not found in money, or the right job or the perfect partner. It’s found right inside your own head when all the fear is finally gone. Some folks live their whole lives and rarely get to experience it. Maybe you found it during that family vacation or during a particularly happy time in your life. In reality it wasn’t the vacation or the pleasant circumstances, it was found because you momentarily let go of the fear. Fear is epidemic, my friends, and it’s after you everyday! If it’s not a deadly disease, (Ebola) it’s an Earth that’s getting too hot. It’s a struggling economy or the loss of your job. It’s every disease and every sickness. It’s the news and the media and your friends and your family. It literally surrounds you and it’s all a damn lie! A lie that rules the world! In order for fear to get a foothold in your life it needs a willing host. Fearful suggestions don’t hurt you. But, when you accept those fearful suggestions, that’s when the trouble starts. Fear rules your life because you cooperate with it everyday. Instead of dismissing those fretful ideas you take them on with the false hope that you can figure it all out. Well, you can’t figure it out. They’re an invitation for disaster. They (those fears and their source) are counting on you and your ego to take the bait. How much life have you already wasted on some unreasonable proposition? How many hours have you dedicated to worrying about that job of yours? What if you fail? What if they fire you? What if the business goes under. What if you fail to get a project done on time? What if you aren’t a success? What if don’t have what you need and you are reduced to suffering and shame? What if? Feel free to apply that scenario to every aspect of your life. What if? What if is FEAR! This is why I can’t understand how people live their lives without God. If I didn’t have a relationship with God, I would be a miserable wreck! This life has just too many scary variables to take them all on with my little ol’ mind. The only way to defeat fear is to learn about God; His omnipotence and His power. There’s nothing God can’t fix and that is the end of all fear. God’s love is the antithesis of fear and the knowledge of God is the only way you’ll understand that fear is always a lie. 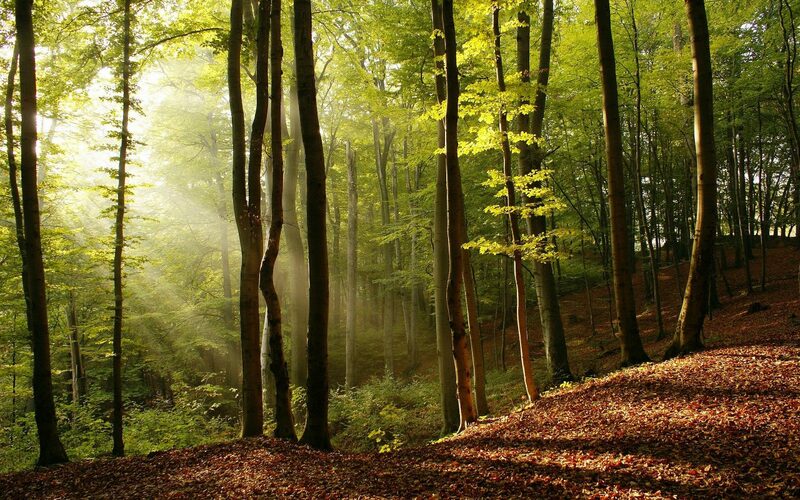 I took a class in 1982 called, “Power For Abundant Living” and for the first time in my adult life experienced the complete absence of fear…peace. How sweet it is! It doesn’t matter who you are or what you have done in the past, God is there for you. With Him you can only succeed and without Him you can only fail. Fear is the most destructive force in the universe and it’s not easy to overcome. You’re not going to beat it with your human logic and rationality and smarts. Fear is spiritual at its roots and requires spiritual insight to defeat. As darkness is simply the absence of light, fear is simply the absence of love, God’s love. WTF? 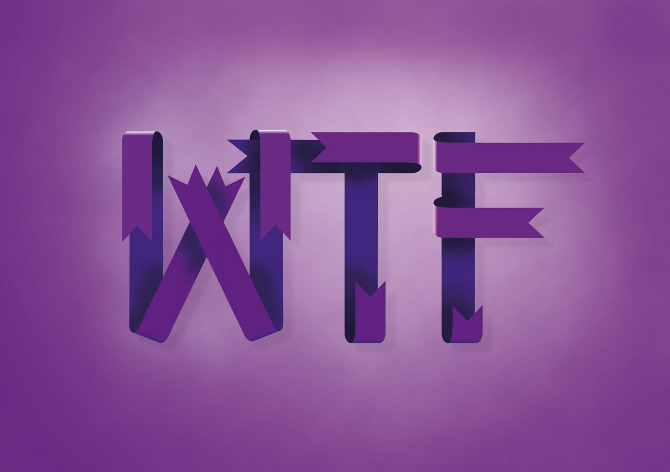 The only way to rid yourself of WTF is by getting serious about getting rid of fear, once and for all. Talk to God; get to God; find God. God and His Word will expose every form of fear to you and in that marvelous light, everything else that has ever bothered you as well. You owe it to yourself, don’t you think? 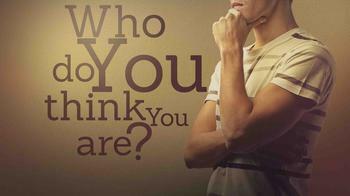 Just Who Exactly Do You Think You Are! Just Who Exactly Do You Think You Are!. That little title says more about your life than any other thing I can think of! Who you think you are is exactly who you are in stunning detail and ultimately determines every success, every failure; your results or lack thereof. If you think of yourself as a victim, you will be victimized on every turn. If you think you are always the one that comes up short, then you will always come up short. If you think the “good life” is reserved for others, then don’t be surprised that your life ain’t so good. Have you ever tried to track down the things you are saying to yourself throughout a day? Once you start actually paying attention, you may be horrified at the result. You are going to hear yourself criticizing yourself. You are going to recognize your own negative expectation. And you will find your internal chatter has something to say about every situation you find yourself in. Most of the time it’s negative. It’s not negative because that’s how life is, it’s negative because that’s how you have become in response to life. The test? You didn’t think that way as a child! Like anything that breaks from the status quo, at first it’s hard to get a handle on. You may even feel like you are lying to yourself. But in reality, up to this point, that’s all you have been doing – lying to yourself. Things don’t always have to turn out badly. Symptoms and indicators don’t always lead to negative results. What it looks like and what it ‘seems’ like are not the end result. The end result is what you accept as the end result before the end result shows up. (Read that again…) In order to get your unruly mind under control you have to first challenge those offending thoughts. Have you ever had an anxiety attack? Anxiety attacks are result of many unchallenged thoughts, now misplaced and coming back in a generalized form. You have to slow down and pay attention to your thoughts. Just because you thought something doesn’t make it true. Wait, hear that one again with volume. JUST BECAUSE YOU THOUGHT SOMETHING DOES NOT MAKE IT TRUE! You see, web as a society have become so trained that we falsely conclude that everything we think is true. (And everything we read for that matter). Once you have gathered the energy necessary to pay attention to your thoughts, next you must challenge the negatives. You do this by telling yourself, “that’s not true” and then saying what is true. “Well, that doesn’t feel right!” So what! Neither did riding a bike the first time you did it. Once you develop this new habit, you will be successfully modifying your thoughts, which modifies your believing; which leads to the change you desire. As someone who has practiced these principles for a very long time, I can tell you that it is not easy to see your life differently than it is today. But to make any real change you must! And the easiest way to do it is by starting today. In fact, start right now. Watch your thoughts and begin the process right now. Thankfully God had so ordered life that we only have to concern ourselves with the present day. So begin today. Deeply reflect on what I’m sharing with you and begin to make the change. Rid your mind of negatives and defeat. Put behind you all of your judgments and condemnations. Lay aside that thinking that drives you bonkers and choose life. Harboring and dwelling on negative ideas doesn’t prepare you for things to some, it only serves to keep open the possibility that those things may come! Deny the possibility! Just who exactly do you think you are? It should be everything you ever dreamed and hoped it would be. It is YOUR life and you have only one short life my friends, to learn this lesson. Learn it and apply it today! Our modern electronic era guarantees that we are going to be fed a multitude of images and words about how the ideal life should be. We become convinced of this image regarding how life should work; what we should have and what we should be able to do. In this Hollywood version of life, difficulties are usually solved and almost everyone gets a happy ending (LOL not that kind!). Yet, despite being daily bombarded with these images, life is really quite messy when you get right down to it. Things don’t always work out as planned. There are obstacles, set-backs, and challenges. There are illnesses, frustrations and seemingly unsolvable problems. We face challenging detours, changing environments, in a world that takes another form as soon as we figure the last one out. Real life is messy. The reason our lives are messy is because we have an adversary; an opposing spiritual force that is ever at work to screw things up. And, whether you think he exists or not, is working on you to make a mess of your life. He steals your prosperity. He convinces you, you aren’t good enough for God or His blessings. He ruins your relationships. Every evil or bad thing that every person ever did was based on his influence. He is behind all sickness, disease and death. He makes the mental prisons you find yourself in and specializes in frustration. He gets you addicted and makes the ruts that are so hard to escape from. He promises you that things will be so much better if you can find this person or get that job or move to a new place. He convinces you that if you follow his ways you will get the happiness you so ardently desire. The problem is that he is ALWAYS lying to you and when you follow his advice it burns you 100% of the time, in every case, always. And still behind all of his shenanigans, most folks don’t even think he exists. Well he does and your life is a mess because of it. On the contrary, God is ever at work to show you what is real and to reveal the true source of your problems. The problem with problems is that we think we can use the same thinking to escape them that got us into them in the first place. Our difficulty persists because we haven’t yet discovered the true cause. God is able to show you the true cause! Because God is all knowing, He can completely and totally eradicate the difficulty. Yet we fail to get the answers we so desperately need because we either think we know better (according to our limited understanding); or dismiss the answers we do get in a variety of forms. When God answers the question or provides a solution, it is a full and complete solution. God’s deliverance is very real and available to anyone who dares to believe. Don’t you want to get things straightened out? I know you do. This messy life we find ourselves living can be throughly straightened out. There are answers and deliverance from anything that ever plagued you. With God nothing is impossible! Stop settling for life’s “good enough.” Stop concluding that every feeling and thought you have must be true. Stop rationalizing your problems away or distracting yourself from dealing with them. Instead seek; truly seek the real solution from God! He wants to help you more than you even want to be helped, but you have to meet Him halfway with some humility. This life is way too short to live in a perpetual mess. Put away your broom and your cleaning rags and get the help you need. You owe yourselves that much, ya think?